October 4, 1957 was a game-changer. On that date, Russia launched Sputnik, a 183- pound spaceship, roughly the size of a beach ball, into space. This surprise launch shocked the United States and forced it to rethink its place as the technological leader of the world. It also ushered in the Space Age and the Cold War. The Russian action touched all areas of America, including politics, patriotism, science, the military, and education. In response, the U.S. undertook an unprecedented push to educate Americans in science and math. As part of that initiative, a group of women in Los Angeles saw the opportunity to make a difference by creating a partnership between science and society. Their goal was to re-establish and re-energize the technological superiority of the United States. They started the first ARCS Foundation chapter in September 1958. ARCS (Achievement Rewards for College Scientists) is a nationally recognized nonprofit organization founded and administered by women who support American leadership and aid advancement in science and technology. 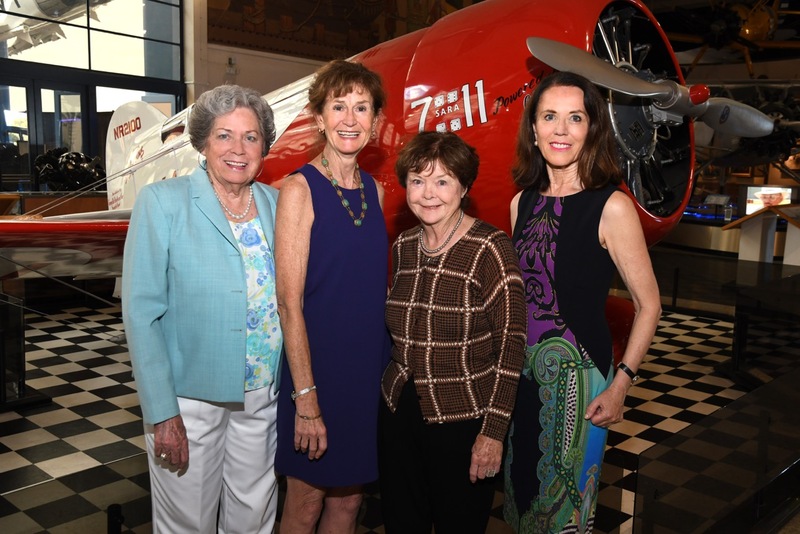 In 1985, four San Diego women followed their lead and established ARCS Foundation San Diego. We are committed to scientific advancement in STEM areas: science, technology, engineering, and math. Our mission is to address the country’s need for scientists and engineers by providing unrestricted funding to help our country’s brightest U.S. graduate Scholars. We sponsor talented, motivated American students at top research universities in San Diego. Our Scholars are undertaking research creating new knowledge and innovative technologies necessary to compete in today’s global economy. The ARCS Scholars we support inspire us and underscore a bright future for America. Does ARCS San Diego have an Endowment Fund? Yes, over $2.1 million, restricted to Scholar funding. A portion of earnings is directed to Scholar Awards annually. "I am deeply grateful for your committed and outstanding support. It has been crucial to continue my development as an established scientist and the realization of my future career goals." "My favorite part of being a member of ARCS is meeting the scholars, hearing about their research and seeing their enthusiasm and dedication to their work." "Becoming an ARCS Scholar has given me an incredible opportunity to connect with a network of women who have led inspiring careers in science and who are full of wisdom to share. As a female scientist, their support and encouragement help to motivate me and maintain my focus to achieve an academic science career. ARCS celebrates success in science and it is an honor to be part of this impressive community!"